Aviation groups have written to the EU to complain about the “chaotic” way new border checks have been implemented at European airports this summer. Five organizations, including IATA, Airlines for Europe (A4E), Airlines Council International and the European Regional Airlines Assocation (ERA), say that the new EU checks have led to “significant delays” with it now taking an extra hour to process passengers on a “typical flight”. The groups have told the EU’s Council of Ministers that “more resources are urgently needed to reduce delays” through airport border controls. Rafael Schvartzman, IATA’s regional vice president, Europe, said: “We support additional border checks if governments believe this improves the security of Europe’s citizens. “But we warned this needed more resources to prevent delays and governments have failed to heed those warnings. The number of delayed flights due to border control issues is up 97 per cent – this is totally unacceptable. 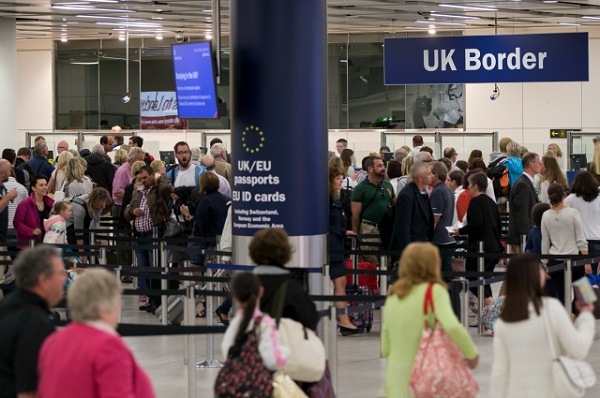 The groups say that around 319 million passengers per year will be affected by the new border controls – which is around half of all passengers travelling through EU airports.